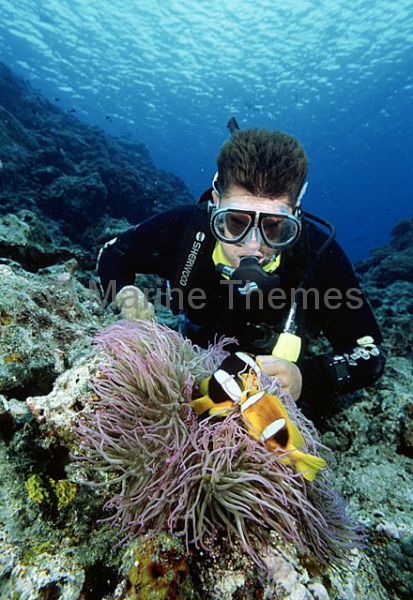 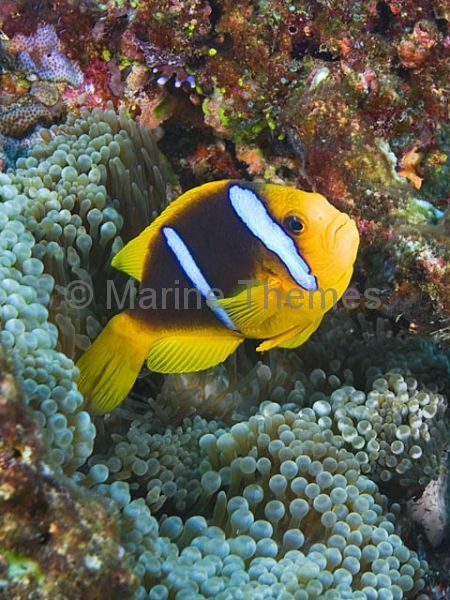 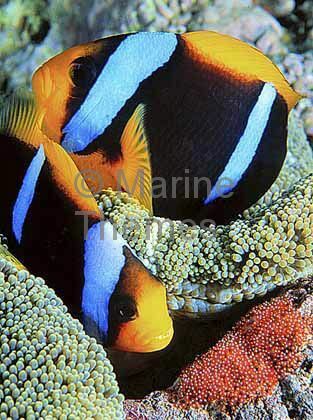 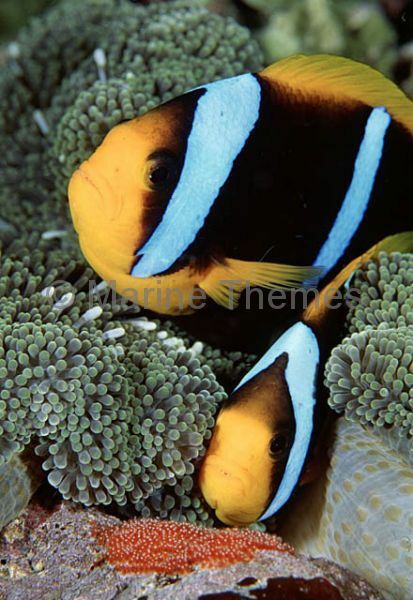 Orange-fin Anemonefish (Amphiprion chrysopterus) with diver. 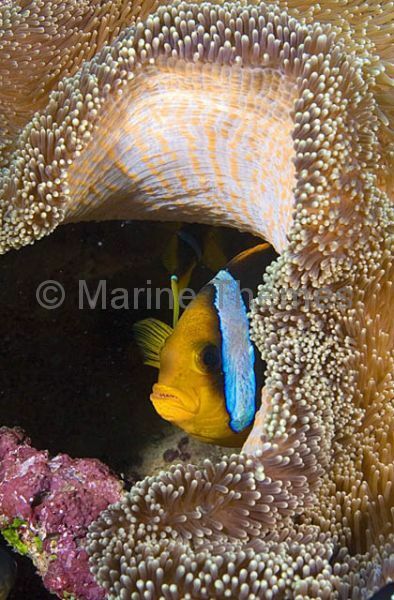 Orange-fin Anemonefish (Amphiprion chrysopterus) nestled into protective host anemone. 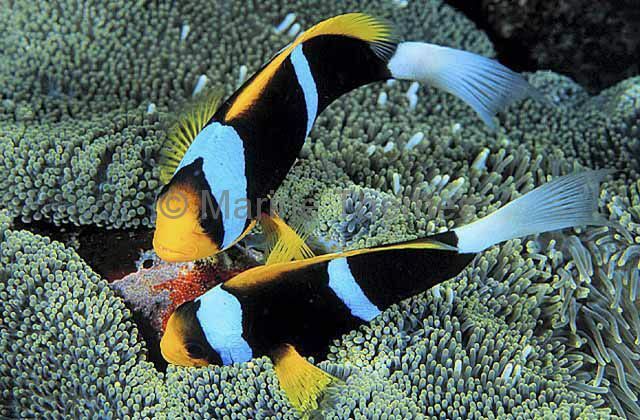 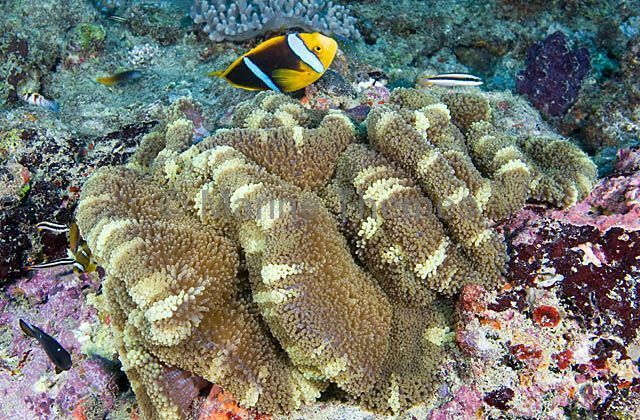 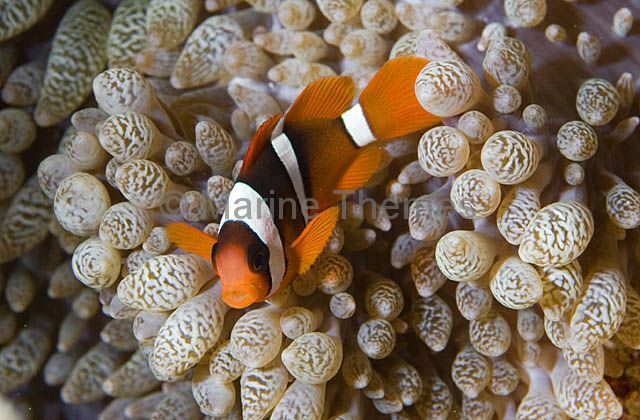 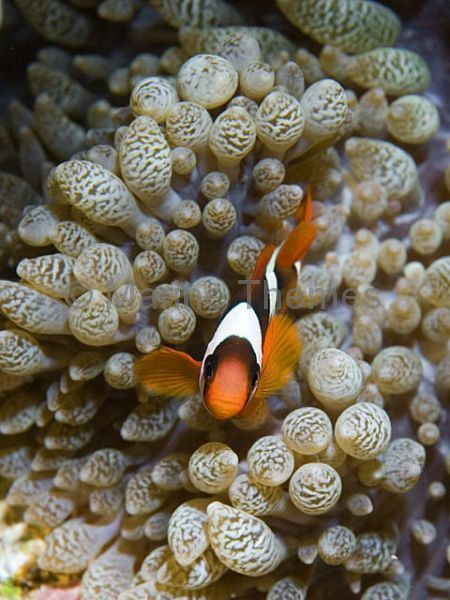 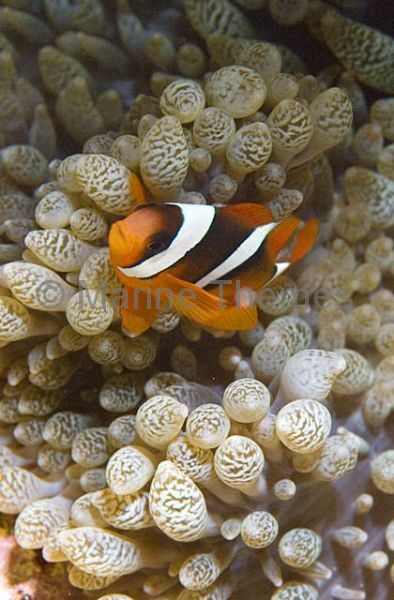 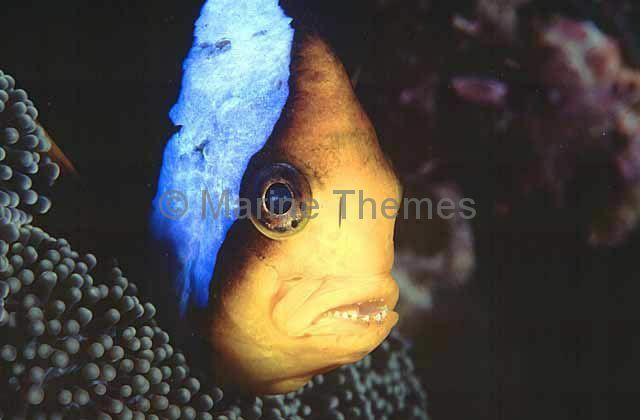 Orange-fin Anemonefish (Amphiprion chrysopterus) tending to eggs laid under anemone. 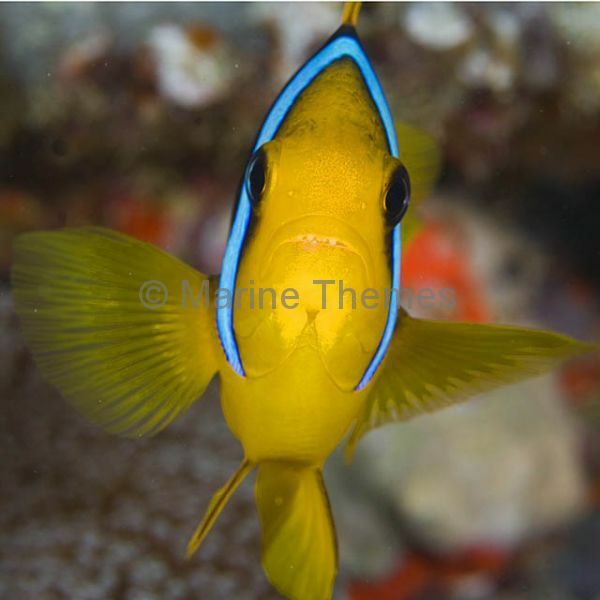 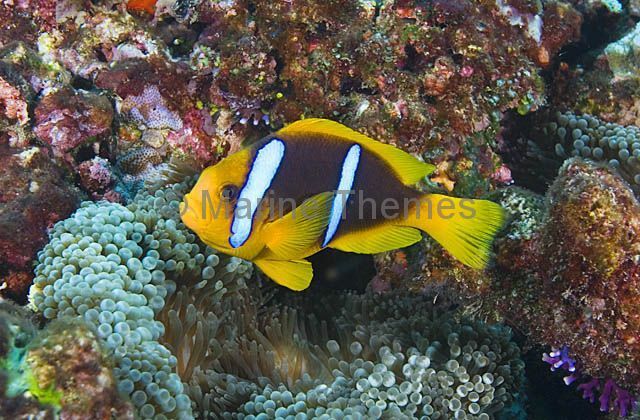 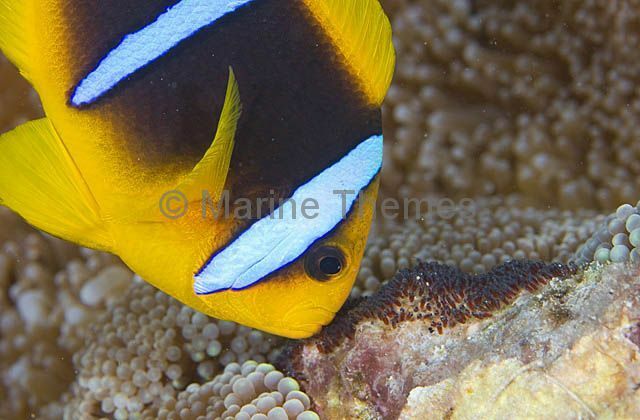 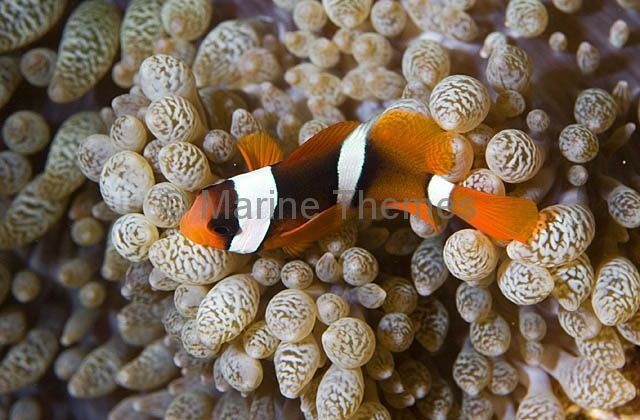 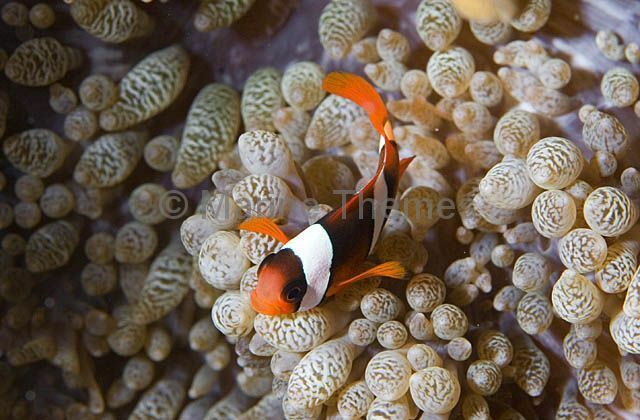 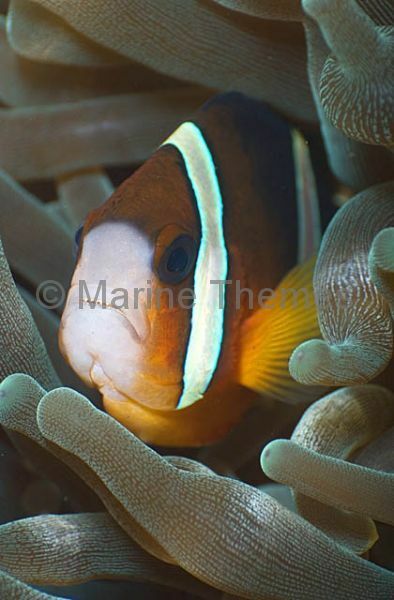 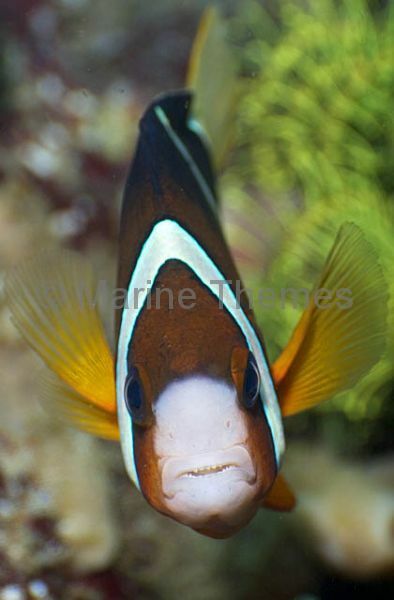 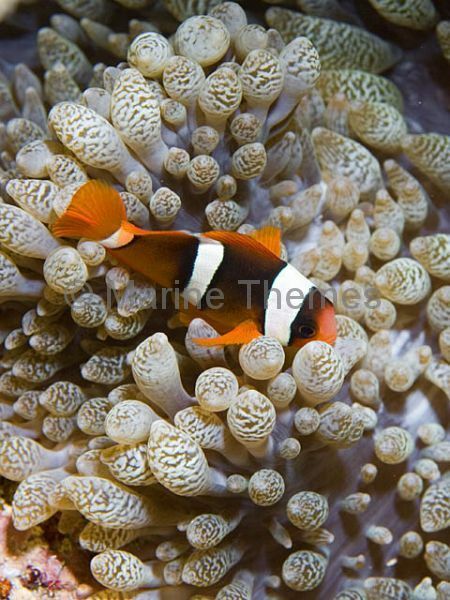 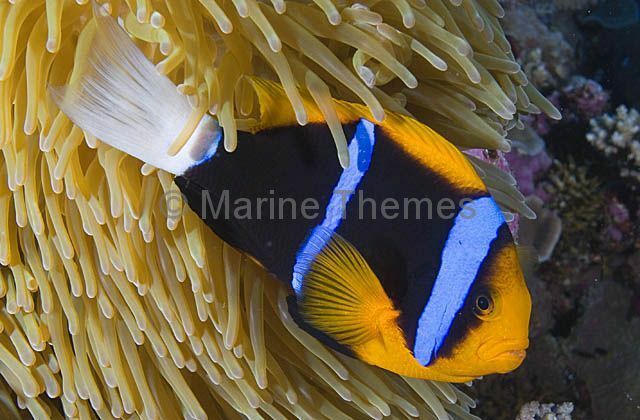 Orange-fin Anemonefish (Amphiprion chrysopterus) Juvenile colour varient.